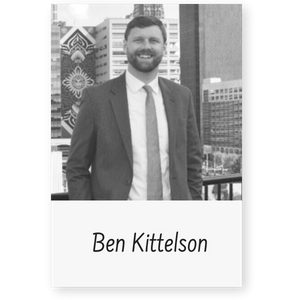 Ben Kittelson is a Sr. Budget & Management Analyst at the City of Durham, North Carolina and has helped run ELGL since May of 2013 when the Wyatts were looking for help babysitting and blogging. He also produces and co-hosts ELGL’s GovLove Podcast. Ben has his Masters in Public Administration from Portland State University and his BA in Politics & Economics from Willamette University. Prior to coming to the City of Durham, Ben worked for two years at Guilford County, NC and interned at several municipalities in the Portland, OR region, including the City of Gresham, Oregon Metro, the City of West Linn and the City of Beaverton. Ben enjoys walking his dog, Franklin, and drinking hoppy craft beers.